As a precursor to the festive season, car manufacturers have started to offer some sweet deals on their products, to set the momentum. Covering three very popular hatchbacks and one crossover in the country, namely the Maruti Suzuki Swift, the Volkswagen Polo, and the Hyundai Elite i20 and the Hyundai i20 Active, we take a look at what makes buying either of the four a sensible decision now. Let’s start with the Maruti Suzuki Swift. A bestseller already, the Swift is reported to get a better equipped version of its base LXi/LDi trims on sale soon. The special version, called Swift SP, will offer benefits of up to Rs 10,630 and savings of up to Rs 21,100, as mentioned in the promotional material shared by GaadiWaadi. The additions include things like Bluetooth-ready integrated music system with four speakers, central locking, fog lamps, blacked out B-pillar, etc. While this will bridge the gap between the LXi/LDi and VXi/VDi versions, no mechanical changes are expected in the car. 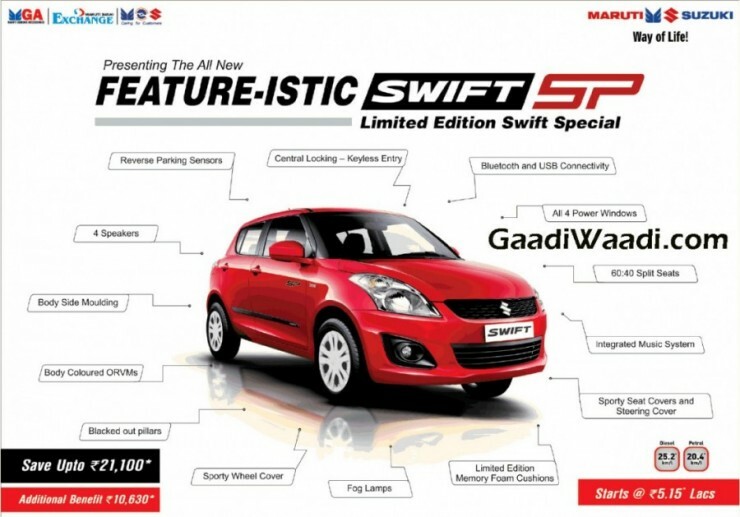 Power windows all around, 60:40 split seats, and SP-branded cushions (typical of Maruti) will also be present. As mentioned in the shared image, prices will start at Rs 5.15 lakh, ex-showroom. 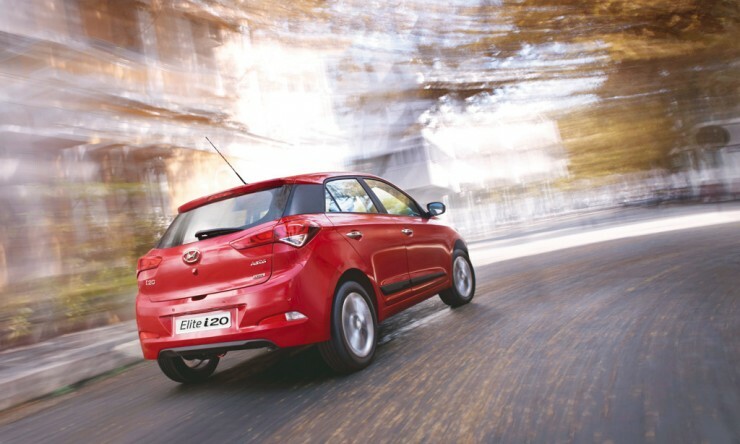 Moving on to the Hyundai twins – the Elite i20 and i20 Active. 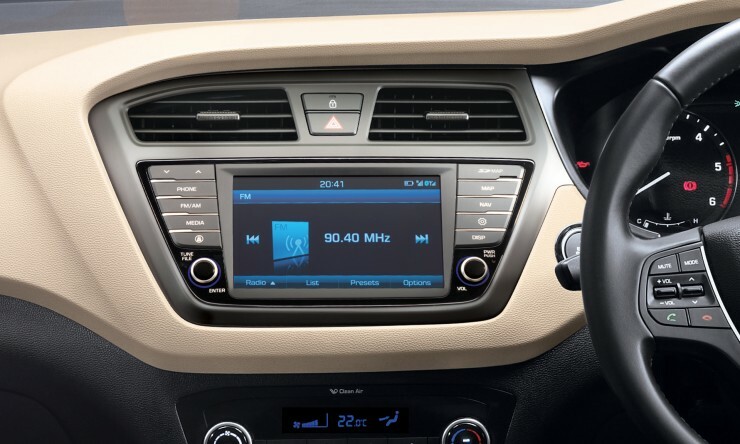 A 7-inch touchscreen infotainment system now comes as part of the standard equipment on the top-spec Asta(O) variant of the Hyundai Elite i20 premium hatchback. Its crossover cousin, the Hyundai i20 Active, benefits from the same on the top SX trim level. The Audio Video Navigation system (AVN) offers Bluetooth telephony, voice guided GPS navigation with pre-loaded maps, and also doubles up as the display for the rear view camera. Prices for the Elite i20 Asta (O) start at Rs 7.16 lakh, while the SX trim in the Hyundai i20 Active is available from Rs 7.92 lakh. 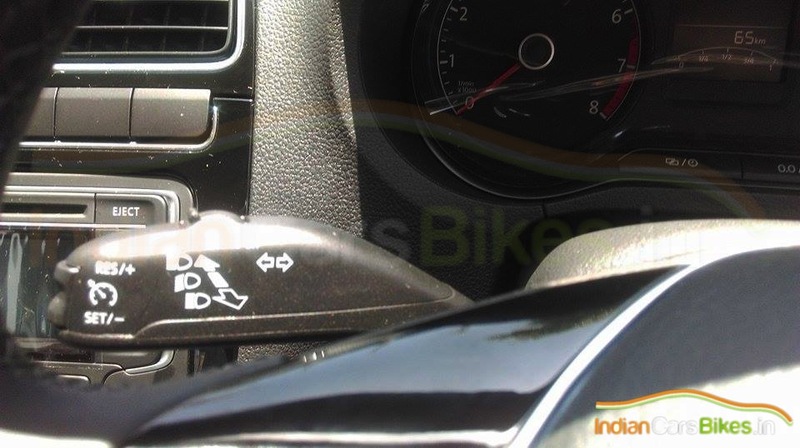 But the major update here comes for the Volkswagen Polo, which now offers more features but at the same price, as reported by IndianCarsBikes. The features now include turn signals on the ORVM, cooled glove box, electrically folding rear view mirrors (ORVM), and cruise control. The whole model range doesn’t get all the features: the base Trendline gets the first, the mid-level gets the second, and the top-spec Highline (and GT Twins – Polo GT TSI and Polo GT TDI) benefit from all features. It must be noted that if you’re planning to buy a new VW Polo now, ensure that you’re getting the new version. Piano black ORVMs might look good, but the more important inclusion is that of the cruise control. 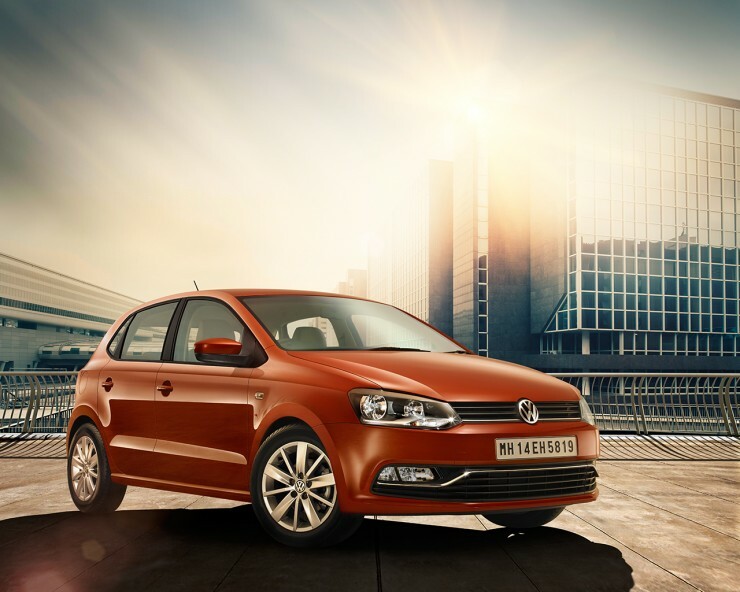 Confined to premium cars, cruise control can be exceptionally useful during long drives, and it also makes the Polo the only car in its segment to feature the technology. Prices are reported to remain unchanged, hence the range starts at Rs 5.33 lakhs, ex-showroom.